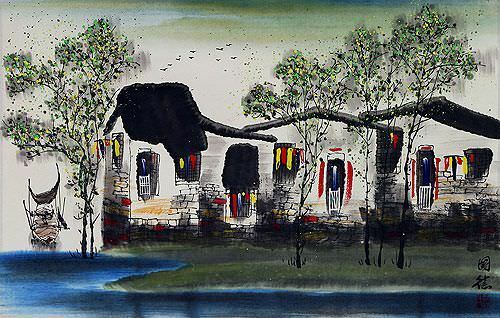 Artwork Panel: 39.7cm x 27.4cm ≈ 15½" x 10¾"
Silk/Brocade Border: 49.7cm x 37.4cm ≈ 19½" x 14¾"
The place known by many people as "Chinese Venice" or the "Watertown of China". 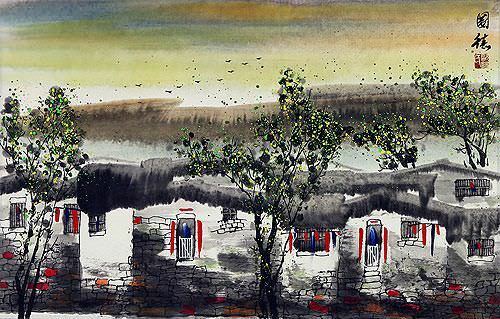 I took this picture in a small village not far from Suzhou city. It is a typical scene of whitewashed brick buildings in a place where boats are still an important source of transportation. 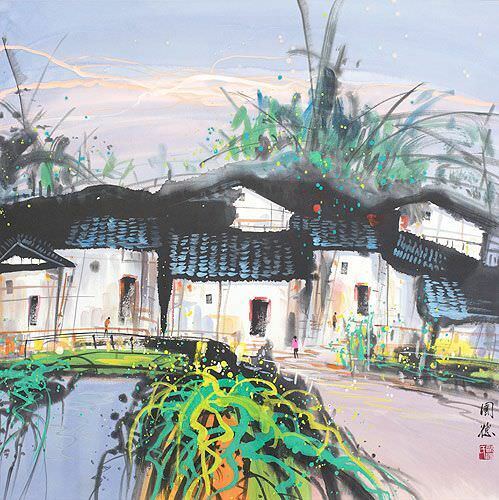 In Suzhou's history, a main source of transportation was by boat along the many canals and slow rivers throughout the city. 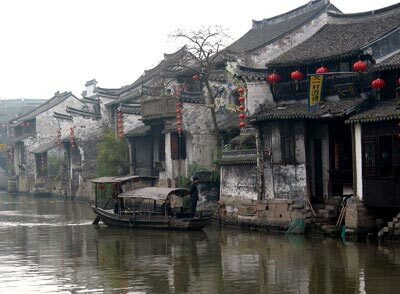 In modern times, Suzhou has outgrown the area that you find these waterways, but most of them are still preserved, and used for both transportation, and to take Chinese tourists around the city in hand-paddled "water-taxis". 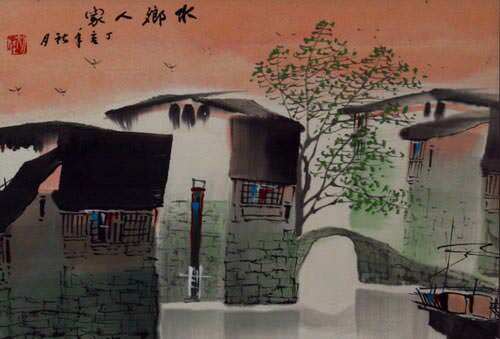 This was painted by (Li Ran), who lives near Chengdu in Sichuan province. 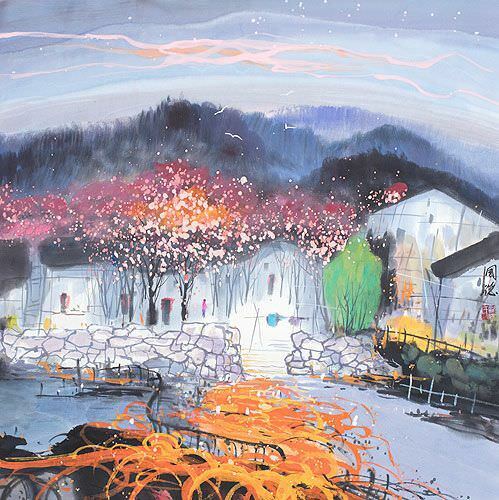 He specializes in landscapes, especially scenes of Suzhou. 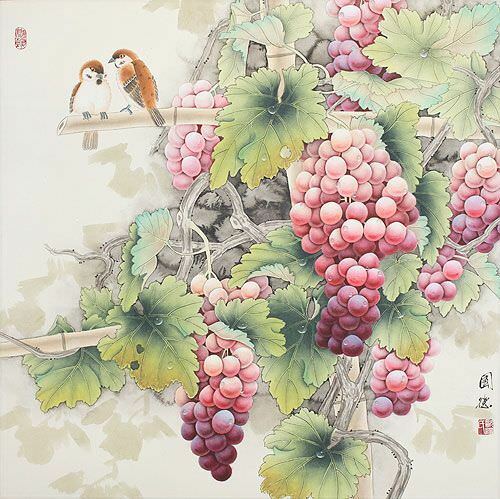 This is painted on xuan paper (rice paper). 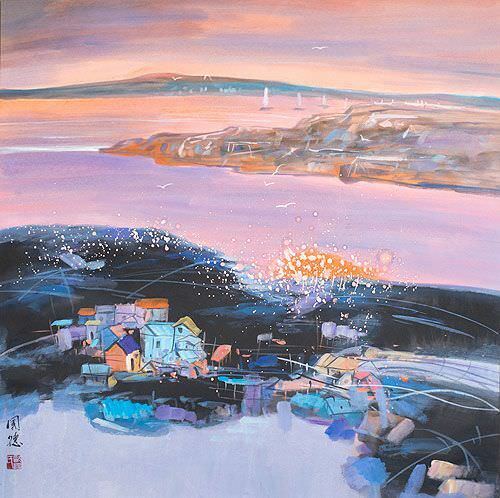 It's mounted with a silk matting/border so you'll receive it in ready-to-frame condition. 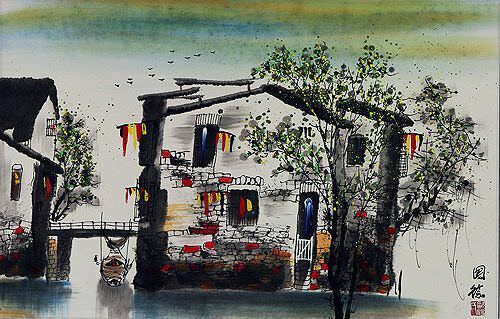 Painted with special Chinese black ink and water color.